When I started my blog two years ago I would never imagined that I would be writing about fresh flowers. Firstly because I thought I would just be writing letters to my girls, that soon changed. And secondly back then I didn’t buy fresh flowers. We moved into our new home a year ago and it was a really exciting time for us as a family. I loved the idea of making it a family home and my love for interiors was going into overdrive with everything that I wanted to do, over time, with the house. It is still very much a work in progress, but one thing that I immediately started doing was buying fresh flowers. I ask myself now, why I never did it before? I mean I loved our old house and I thought we were going to be living there for a lot longer than we did. But it just never occurred to me to buy them, I didn’t realise the difference they can make to a room. I also think that in our new home there seemed to be a more natural place to have fresh flowers. Thinking back to the layout of our old house, I’m not too sure where I would have put them to make them a feature of the room. I don’t have that problem here, we have a lovely large window in our lounge and a unit sits nicely in it. To be it was screaming out for a nice vase to hold some flowers. I’m still working on the nice vase part, I’ve yet to find the perfect vase to sit there. But I do love the clear rectangle one that I’ve had for years and year, which I use for now. 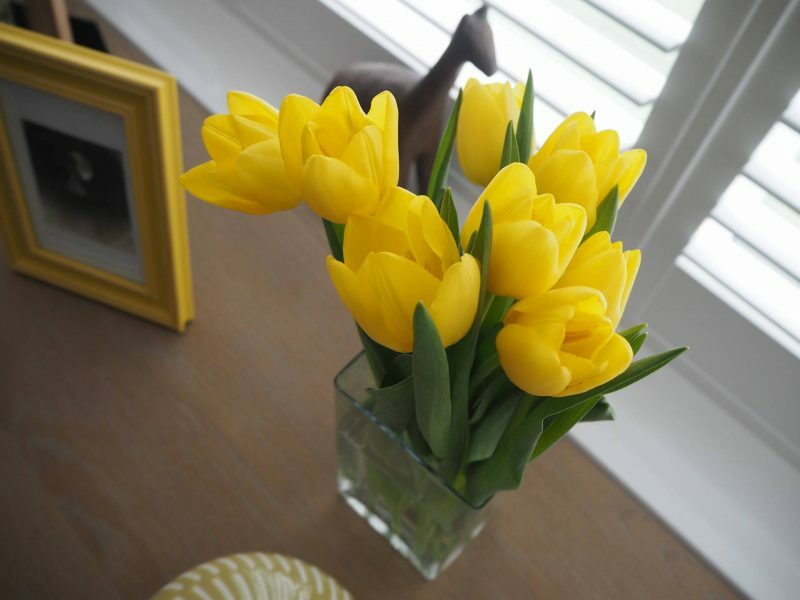 I love how they can brighten up a room, there is something cheerful about them. They make me smile when I see them from outside our house. I feel like a ‘grown up’ with fresh flowers with in the house. Which is obviously crazy, as I’ve been a grown up for a very long time, but there are times when you things make you realise that you are. If you know what I mean! 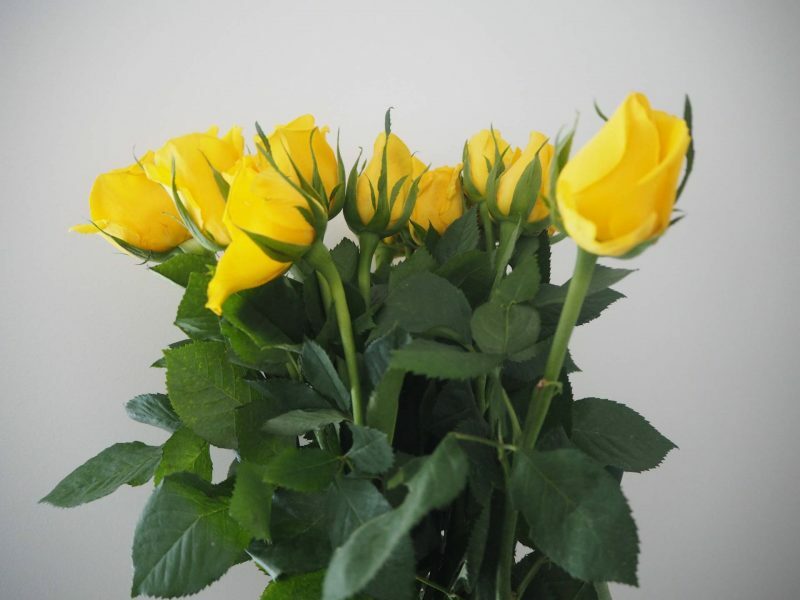 And so now buying fresh flowers has become part of my weekly routine, I like to mix it up a bit with what I buy. Mainly down to the season we’re in and very occasionally my lovely husband may but me a bunch from the garage too. Previous Post: « Introducing SuperZings…Are They Going To Be The Latest Craze? 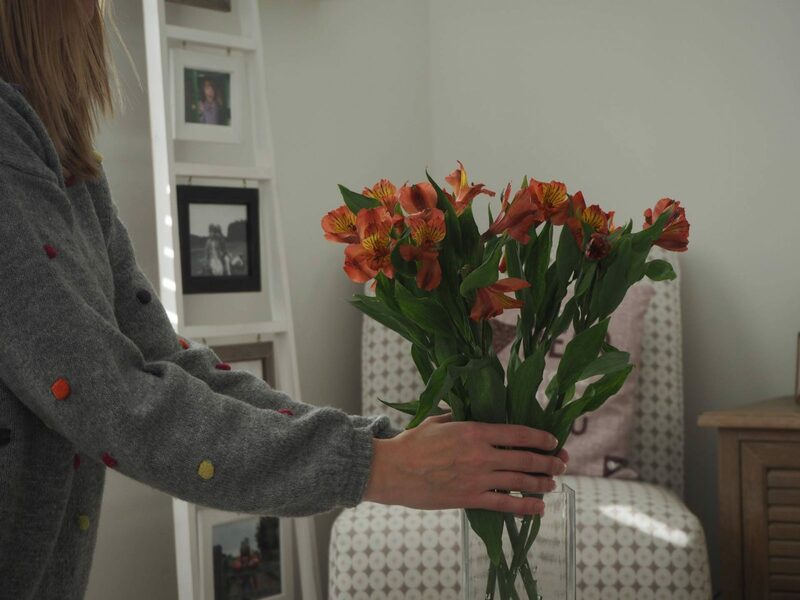 I completely agree, I love having fresh flowers – the smell, the colour, and the different varieties to choose from. My husband asked me what one thing I’d like him to do more of this year was, and I asked him to buy more flowers. So far we’ve had new flowers every week, it’s been lovely. Oh, and I have a beautiful vase from Oliver Bonas which works well for so many displays – it’s gold at the bottom with hexagons, it’s beautiful! They look beautiful. I don’t buy flowers, there isn’t really a natural place to put them in our house either. Hopefully there will be when we get the house done up as we want it.